1) (Houghend, co. Lancaster; descended from Oswald Moseley, second son of Ernold de Moseley, Lord of Moseley, temp. King John; Edward Mosley, Esq., of Houghend, temp. Henry VI., had three sons: 1) Oswald, his heir; 2) Sir Nicholas, Lord Mayor of London; and 3) Anthony, ancestor of Mosley, Bart., of Rolleston). Sa. a chev. betw. three millpicks ar. 2) (Hough, co. Stafford, bart., extinct 1665; descended from Sir Nicholas Mosley, Lord Mayor of London, 1599, second son of Edward Mosley, Esq., of Houghend, temp. Henry VI.). Same Arms, a crescent for diff, quartering Or, a fess betw. three eaglets displ. sa. 3) (Rolleston, co. Stafford, bart., extinct 1779; descended from Anthony Oswald, third son of Edward Oswald, Esq., of Houghend, temp. Henry VI.). Quarterly, 1st and 4th, same Arms; 2nd and 3rd, or, a fesse betw. three eagles displ. sa. Crest—An eagle displ. erm. Motto—Mos legem regit. 4) (Ancoats, co. Lancaster, bart. ; descended from Nicholas Mosley, brother of Sir Oswald Mosley, first bart. of Rolleston). 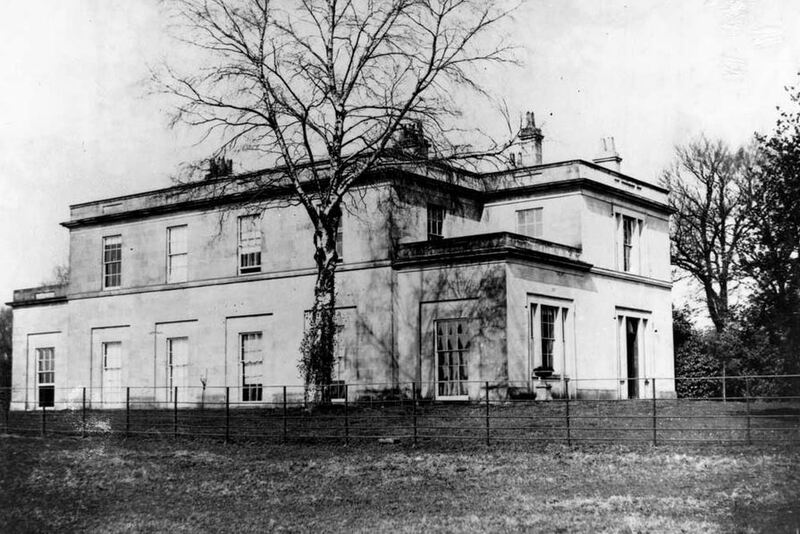 (Burnaston House, co. Derby; descended from Ashton Nicholas Mosley, Esq., of Park Hill, co. Derby, third son of Sir John Parker Mosley, first bart. of Ancoats). Quarterly, 1st and 4th, same Arms; 2nd and 3rd, or, a fesse betw. three eagles displ. sa. Crest—An eagle displ. erm. Motto—Mos legem regit. 5) (Sir Nicholas Mosley, Lord Mayor of London, 1599, and co. Lancaster). Same Arms, an estoile for diff. 6) (Newcastle-on-Tyne). Sa. on a chev. betw. three millpicks ar. as many mullets gu. Crest—An eagle displ. erm. Motto—Mos legem regit. 7) Ar. a chev. betw. three lozenges sa. This last name is a local one meaning “of Mosser”. It was a hamlet and town in the parish of Saddleworth in West Riding, Yorkshire, England. It is believed other smaller locales may also given birth to this surname. In the Domesday Book of 1086, a survey of Wales and England requested by William the Conqueror, a place spelled Museleie was recorded in Birmingham and a place called Molesleie was recorded in county Staffordshire. The name derives from the Old English word mos (peat bog) and leah (woodland clearing), or the Old English word mus (mouse), or even the old personal (first) name Moll. Another source states there is a place in Leicestershire with this name. There is also a place named Moseley in West Dean, Gloucestershire. The last name ranks Mosley ranks 699th in popularity in terms in the United Status as of the 2000 Census name is highest rank in the following four states: Alabama, South Carolina, Virginia, and Arkansas. The spelling variant Moseley ranks 1,982nd. In England, the name is the 1,363rd most common surname in the nation. It ranked highest in the following six counties: Staffordshire, Warwickshire, Worcestershire, Derbyshire, Chesire, and Shropshire. It is also found throughout the rest of the English speaking world: Australia (3,229th), New Zealand (5,525th), Canada (8,301st), South Africa (6,461st), Scotland (4,243rd), Wales (493rd), and Ireland (14,048th). Some spelling variants include Moseley, Mosely, Mosley, Mossley, Mosseley, Moslay, Mowsly, Mozley, and Mousley. Other similar surnames include Moose, Moyes, or Moss, which derive from the Saxon word meaning mossy field or pasture. The first known bearer of this last name is Suen de Moseleia who was recorded in the Pipe Rolls of Worcestershire in 1195 AD. The Pipe rolls, also known as the Great Rolls, were financial records that were kept by the English Treasury which documented payments and debts to the crown. A one Ernold de Moseley was listed in heraldric rolls as living during the time of King John of England (who reigned from 1199-1216 AD). He was the Lord of the Manor of Moseley in county Lancashire. The Poll Tax of Yorkshire in 1379 AD lists three people with this last name: Willelmus de Moslay, Richardus de Moslay, and Thomas de Mosseley. 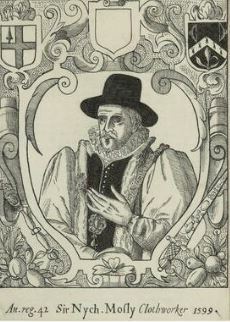 The Register of the University of Oxford lists one John Moseley in county Middlesex in 1588 AD. The Wills at Chester documents two people with this surname: Ralph Mosley of Great Sankey (a husbandmen) and Rowland Mosley of the Hough, Manchester. The famous genealogist Bernard Burke’s book “The Landed Gentry” discusses two branches of this family: Moseley of Buildwas and Mosley of Burnaston House. The first begins with a mention of Walter Moseley, Esq. of Buildwas in county Salop. He was born in 1832 and later became a Justice of the Peace. In 1864, he married Maria Katherine, daughter of Reverend Richard Anderson of the Grange. Burke traces the lineage/pedigree of this family back to Edwyn de Bilelston, whose son Thomas, married Juliana, heiress of Mollesley, during the reign of King Henry III of England (1216-1272 AD). 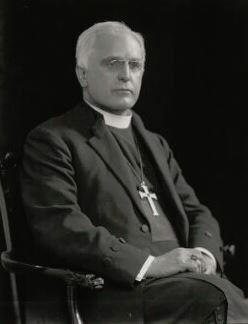 His descendant, Walter Moseley of the Mere, married Dorothy, daughter of Francis Billingsley of Astley Abbots and had a son also named Walter. This Walter was the High Sheriff for county Stafford during the reign of Queen Anne. He married Jane, daughter and heiress of William Actor, and died in 1712 leaving a son named Acton. Acton was an Esquire and was of Mere and Buildwas. He was a High Sheriff as well and in 1757 he married Elizbeth, daughter of Sir Herbert Croft, the 1st Baronet of Croft Castle and had issue with her: Walter and James (martried Ann Sprott of the Marsh and had two sons). Walter, the elder son, was his successor. He married Mrs. S Devey and had a son with her named Walter Michael. He later married S.M. Gilpin or Carlisle. He was succeeded by his son Walter Michael Moseley, Esq. of the Mere. This Walter married Anne Elizabeth, daughter of Richard Socket of Worcester, and had the following issue with her: Walter, Anne Elizabeth (married James Talor of Moore in 1825), Mary (married Denis Henry Kelly of Castle Kelly), and Lucy (married Phipps Vansittart Onslow of Broadwas Court). His heir was son Walter who was born in 1801. This Walter was High Sheriff in 1833 and in 1829 he married Elizabeth Sarah, 4th daughter of S.E. Steward and had issue with her: Walter (discussed at the beginning of this paragraph), Herbert Henry (1835), Edwyn Samuel (1838), Henry John (1846), Catherine Frances, Mary Augusta, and Lucy Emma Laura. The family had an arms of “family crest” with the following blazon: Quarterly: 1st and 4th, sable, a chevron between three mill-picks argent; 2nd and 3rd, gules, two lions passant argent between nine crosses-crosslet fitchee or. The second branch begins with a mention of Ashton Moseley, Esquire of Burnaston House in county Derby, born in 1821, who was a Justice of the Peace and D.L. in counties Derby and Stafford. He was the Captain of the 60th Rifles and Colonel of the 1st Derby Militia. Burke traces the lineage of this branch back to Ashton Nicholas Mosley, Esq. of Park Hill in county Derby who was the son of Sir John Parker Mosley. He was a Justice of the Peace and D.L. and was born in 1768. In 1790, he married Mary, daughter of Edward Moreley of Horseley and had the following issue with her: Ashton Nicholas and Emma Penelope (married Reverend Francis Ward Spilsbury). He died in 1830 and was succeeded by his son: Ashton Nicholas Every Mosley. He was born in 1792 and was a Justice of the Peace and D.L., as well as a High Sheriff in 1835. In 1820, he married Mary Theresa, daughter of William Stables and had children with her: Ashton (mentioned at the beginning of this paragraph), Arthur (born 1822, served in the 95th foot regiment), Godfrey Gooman (born 1826, Lieutenant in 7th Royal Fusiliers), Rowland (born 1859, Rector of Eggington, married Jane Charlotte Rose), Edward Nicholas (77th Regiment), Mary Theresa, Isabel, Emma Jane, Penelope Sophia, Frances, and Evelyn. The family bore the following coat of arms: Quarterly: 1st and 4th, sable, a chevron between three battle-axes argent; 2nd and 3rd, or, a fess between three eaglets displayed sable. A one Joseph Mosley was recorded as living in Virginia (at Elizabeth Cittie?) in 1623. He came to Virginia at age 21 aboard the Providence. George Moseley left the port of London to Virginia in July of 1635 aboard the Assurance. Other settlers in colonial America with this surname were James Mosley (Maryland 1669), Thomas Mosley (Maryland 1673), Elizabeth Moseley (Virginia 1650), Francis Moseley (Virginia 1650), and Anne Mosley (Virginia). One of the earliest Canadian settlers with this last name was John Mosley who came in 1750 to Nova Scotia. A one Henry Mosley lived in the town of St. Michael’s, Barbados with his wife and six slaves in 1680. The Mosley family motto is Mos legem regit, which means “Custom (or precedent) rules the law’”. The Moseley family motto is Honorate, diligite, timete, which means “Honour, love, fear” and the motto for Moseley of Owsden is Incrementum dat Deus, which means “God gives increase”. We have seven coats of arms for the Duckworth surname depicted here. These seven blazons are from Bernard Burke’s book The General Armory of England, Ireland, and Scotland, which was published in 1848. The bottom of this page contains the blazons, and in many instances contains some historical, geographical, and genealogical about where coat of arms was found and who bore it. Later grantees of arms bearing this last name include: 1) Hannah Mosley wife of Edward, of Newcastle-upon-Tvne, co. Northumberland (dau. of Cample Astox),  and 2) Moseley after Loftt, Henrv Capel, of Glemham House, Glemhara, and Troston Hall, Troston, co. Stiff., . 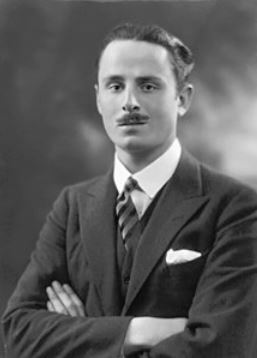 Famous people with this last name include: 1) Sir Oswald Ernald Mosley (1896-1980) who was the 6th Baronet and leader of the pro-German British Union of Facists during the 1930s, 2) Henry Gwyn Jeffreys Moseley (1887-1915) who was an English physicist who was known for his work with atomic numbers, 3) Shane Andre Mosley (born 1971) who is an American boxer known as “Sugar Shane”, and 4) Stephen James Mosley (born 1972) who was a conservative Member of Parliament that represented the city of Chester .